Coming into the Carolinas from California, Coleman Contractors Inc. has made many new friends while building our company's foundation. 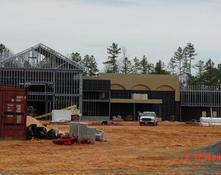 We specialize in metal framing, drywall, and acoustical ceilings for all commercial applications. Our commitment to customer satisfaction has established us as a well respected subcontractor in our community. 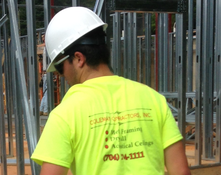 Coleman Contractors, Inc. has an amazingly skilled staff to provide a fast, safe and professional experience in all of our areas of expertise. We look foward to adding new friends to our future growth and success.